Witnesses described the attack on Thursday that killed Jo Cox, a member of Britain's parliament. LONDON — A member of Parliament was gunned down outside a library in northern England as she was wrapping up a meeting with constituents on Thursday afternoon, a rare act of political violence in a nation that strictly regulates firearms. 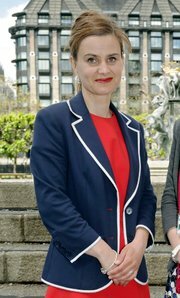 The lawmaker, Jo Cox, 41, who was considered a rising star in the opposition Labour Party and was a passionate advocate for victims of the civil war in Syria, was shot in Birstall, a town about six miles southwest of the city of Leeds. A 77-year-old man was slightly injured in the attack. Last week, she wrote on Twitter: “Immigration is a legitimate concern, but it’s not a good reason to leave the E.U.” On Wednesday, her husband, Brendan Cox, took part in a joust between prominent campaigners from both sides, an event nicknamed the Battle of the Thames. In Birstall, where the last census recorded nearly 17,000 residents, the police cordoned off the area around Market Street, where the attack took place. The police were summoned at 12:53 p.m., and found Ms. Cox with severe injuries. She was taken by an air ambulance to Leeds General Infirmary, where paramedics tried to save her. A doctor pronounced her death at 1:48 p.m., Dee Collins, temporary chief constable of the West Yorkshire Police, said at a news conference. The BBC quoted an witness, Hithem Ben Abdallah, 56, who was in a cafe next door to the library when the attack occurred, as saying he heard screaming and went outside. “There was a guy who was being very brave and another guy with a white baseball cap who he was trying to control and the man in the baseball cap suddenly pulled a gun from his bag,” Mr. Ben Abdallah said. In a phone interview, Sanjeev Kumar, an employee at the Kwik Save store on Low Lane, near the library where Ms. Cox was meeting constituents, said he had seen the victim lying on the ground after her attacker fled. He was stunned to learn that the patient was his local representative, and drove home in a state of shock. The police said they were not looking for any other suspects besides the man in custody. News images showed the police tackling a man in a gray T-shirt and black pants after the attack, and a house in the area was searched. Ms. Cox was elected to Parliament in May 2015 to represent Batley and Spen, a generally safe Labour seat. The constituency has a large number of retirees and a substantial population of South Asian origin. Ms. Cox’s colleagues have described her as an eloquent and effective lawmaker. She was due to celebrate her 42nd birthday next Wednesday, and had been spoken of as a potential future minister. According to the biography on her personal website, Ms. Cox was born and raised around Dewsbury, England. She graduated from Cambridge in 1995, the first in her family to complete university. Ms. Cox abstained in a contentious vote last fall on British military action in Syria, insisting that a broader attempt at resolving the five-year-old civil war was needed. Mr. Cameron, the prime minister, called off plans for a trip to Gibraltar, the British overseas territory that borders Spain, where he had planned to rally residents to vote to remain in the bloc. In January 2000, a mentally ill man attacked a Liberal Democratic lawmaker, Nigel Jones of Cheltenham, with a samurai sword, killing an aide to Mr. Jones. In September 2010, Stephen Timms, a Labour member of Parliament for the East Ham district in London, was stabbed and critically injured by an Islamist extremist who was angered by his support for the 2003 invasion of Iraq. Steven Erlanger and Stephen Farrell contributed reporting.